Anyone who’s ever looked into retirement planning must have pondered the two basic questions: at what age does one want to retire and how does one estimate her life expectancy? A few decades ago, there was nothing daunting about those questions. There’d be no reason to doubt the life expectancy statistics or consider possible variations of the retirement age, which was all but assured somewhere around 60–65. No so today. Average life expectancy heading for 100, read a sensationalist newspaper headline from 2015. But how sensational was it really, when Scientific American declared a few months ago that “aging is reversible,” citing successful lab experiments on mice? Jack Ma, the founder of Alibaba Group, wondered if, a couple of centuries from now, we might need to legislate the caps on lifespan. Effectively predicting that the future scientific discoveries and advances in technology will allow for indefinite deferral of aging. Most of us are probably skeptical about the prospect for human immortality, yet others may posit that 200 years, at the current pace of progress, is much too long for humanity to reach this milestone. And they will argue that beyond indefinite lifespans, we’ll achieve breakthroughs that we can’t even imagine today — be it colonization of space or self-aware artificial intelligence. On the other hand, climate scientists warn of the devastating effect global warming might have on human civilization if we are unable or unwilling to reduce greenhouse emissions in time. Potentially catastrophic risks abound and could, quite possibly, thwart the positive development trajectory. How does one plan for retirement in such a confusing context? How does one forecast anything in the age of the fourth industrial revolution? What inferences do we make from that? Will quantum computers turn everything upside down yet again? “Such computers will be able to chomp their way through calculations that would take today’s best supercomputers millennia,” the Economist explained. What effect will this have on jobs or any other facets of human experience is difficult, if not impossible, to forecast. Another big trend is virtual reality (VR). Could we predict the implications that seamless and widespread VR will have on, say, profitability of today’s telecommunication and entertainment industry giants? The churn in the Fortune 500 index speaks for itself, and while we can’t easily forecast which tech startups will succeed and which will fail, what we can say with confidence is that the index turnover is going to accelerate. 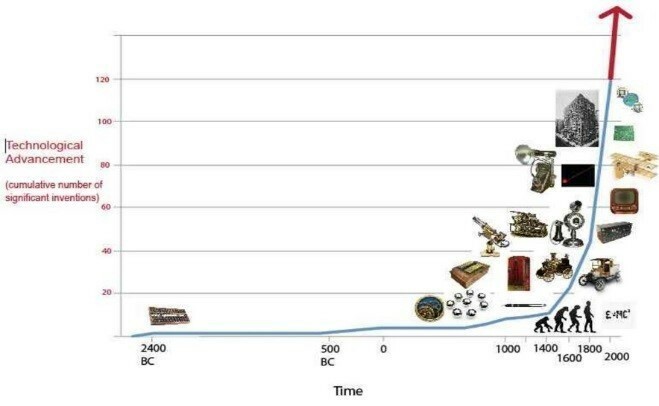 While the figure is astonishing as it is, what would put this in perspective is the fact that we’ve achieved about half as much during the last 5 millennia. The creation of telegraph, the internet, and the smartphone reshaped the world for every generation that witnessed them. If inventions of such magnitude show up twice per decade instead of once in a century, forecasting will be futile. The sooner we realize that long-term forecasting is becoming obsolete, the better we’ll be able to cope with the new reality. Businesses are already responding by hiring Chief Digital Officers, promoting entrepreneurial culture, and elevating the innovation imperative to the level of existential priority. Perhaps another implication will be the end of business strategy as we know it. Strategic foresight and scenarios planning seem to offer better methodologies for business to adapt and adopt to the ever-changing competitive environment. The wild speculation about the accelerating technological process is hardly a novel trend. 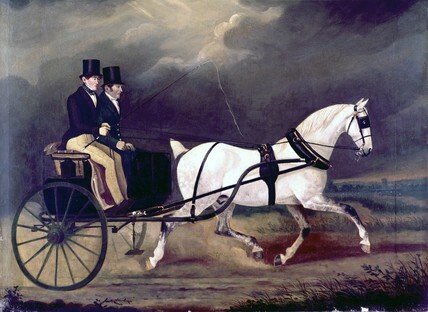 The news of self-driven carriages must have terrified horse owners; and those pundits who witnessed automation of factory jobs predicted sustained mass-scale unemployment. Every time we attempt to predict the future with the contextual awareness of today, we struggle with the failure of imagination or, perhaps, we discount the notion that unknown unknowns are unknowable by definition. When cars replaced horses as the primary means for transportation, the world didn’t come to an end. The preceding industrial revolutions pushed a number of vocations into oblivion, but plenty of new jobs have been created in their stead. But this time, given the qualitatively different nature of the scientific advancement today, we should account for a ‘jobless’ future scenario, as much as for ‘jobfull’ one. If the post-forecasting era is indeed upon us, what does it mean for the mere mortals (a term that we might have to revisit by 2200) and how should we cope? We must begin by accepting uncertainty as a given; stay openminded about technological progress; and, when it comes to retirement planning, it is worth noting that bitcoin had just surpassed the value of gold, Dubai is planning to introduce autonomous flying taxi service, and Airbus has unveiled a drone car concept. Perhaps for those of us, whose retirement is more than decade away, we could focus less on the planning and more on imagining and getting excited about the uncertain, but surely fascinating future. Originally published on the World Economic Forum Agenda Platform.